Janel Jacobson (b. 1950) is a wood carver, whose inspiration comes from nature. The material of choice has changed, but the thoughtful observation of the setting and detail of her subjects has been a key interest to the vitality and continuity of her work for more than three decades. Her career as a self-employed artist, begun in 1972, spanning decades of creative work: first as a potter, then a porcelain carver, and now a carver of wood. 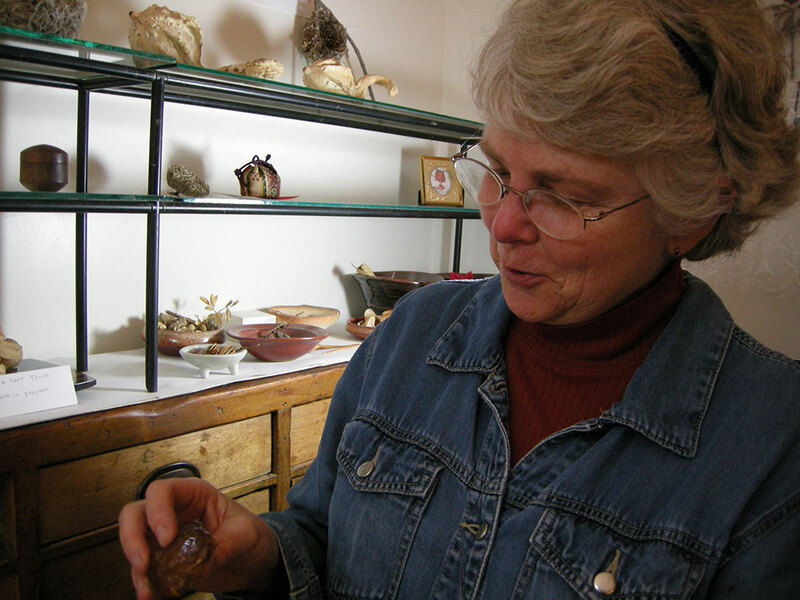 In 1995, she ceased working with clay when she took a piece of boxwood and carved her first, small, wood sculpture. 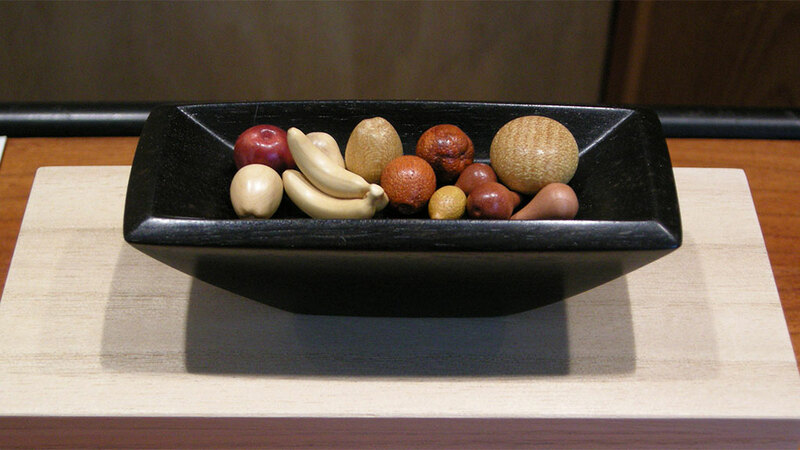 Jacobson works in very dense, hard, fine-grained woods to create very small and detailed sculptures. The nature of the subjects, being small in life, inspires her to work in a small scale, composing real or imagined situations. The explorations in various hardwoods and other carvable materials have grown in scale and scope from small netsuke and ojime, to stand-alone small sculptures.